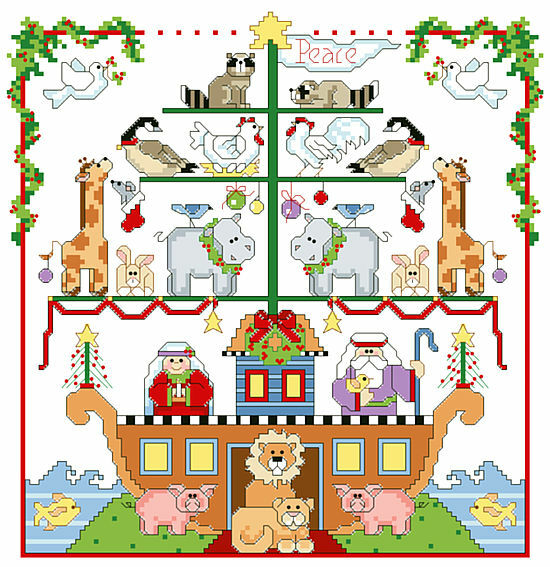 A doubly cheerful, twice blessed crew decks the halls of Noah's Ark in anticipation of gifts of peace, sunshine and dry land. 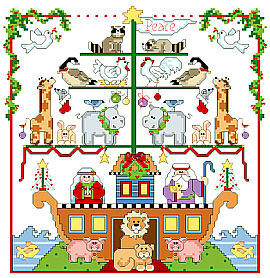 It blends two biblical events of immense significance into one festive holiday showpiece. Contents: Stitch Count 117w X 119h, Finished Size: 8-3/8" X 8-1/2"